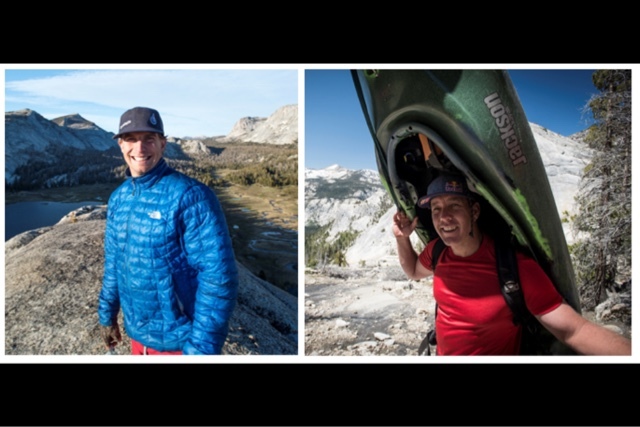 PREVIEWING THE NATIONAL PADDLING FILM FESTIVAL ~ with Bethany Overfield | DBP MAGAZINE ONLINE The World's Best Free Whitewater Publication. Name and title: Bethany Overfield, former NPFF director and current and continued Jack of all NPFF Trades, research geologist in real-life. Shown here with Ben Marr at last year’s festival. 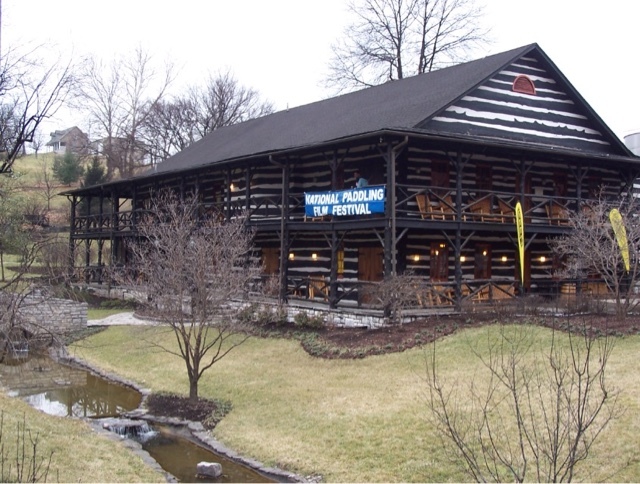 Background with NPFF and the Bluegrass Wildwater Association: I started kayaking in 2008 and was completely swept away by the sport. I got involved with the BWA, which led to me to the NPFF in 2010. I’ve pretty much, at one point or another, taken care of most aspects of the festival. I’ve been in charge of the kitchen, headed up the silent auction donations, been the Director, the media coordinator, the guest host wrangler, and the emcee. Every year I say I’m going to retire, but every year I have a competitive goal to be able to give away more money than the previous year, so retirement seems elusive. 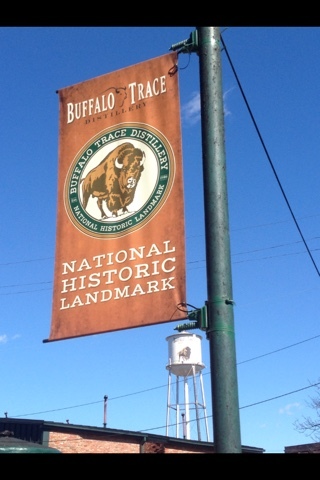 DBP: We had such a great time at last year’s event, and touring the area as well as enjoying the festivities at Buffalo Trace and The Brick Alley. Can you tell first timers what they might expect? DBP: DBP Admin Dave Hendrickson has hoisted every speaker (except Doug Ammons, who respectfully declined) to his shoulders at the Brick Alley for years! Last year it was Ben Marr. Tell us please about the featured speaker this year. “I think Dave Hendrickson should somehow hoist all three of these guys. At the same time.” Whoa! WALLACE!!! DBP: We are bringing a package of goodies to offer up for the silent auction, which is well known for having some awesome gear and river paraphernalia available. Last year I lost out on Kirk Eddlemon’s books. How much money do you hope to raise for the cause? What’s your favorite item up for bids this year? “Asking about my favorite item up for bid is like asking me to pick a favorite dog. If you’re going to force me to pick……I’m super jazzed to have a Liquid Logic Mullet in the auction. 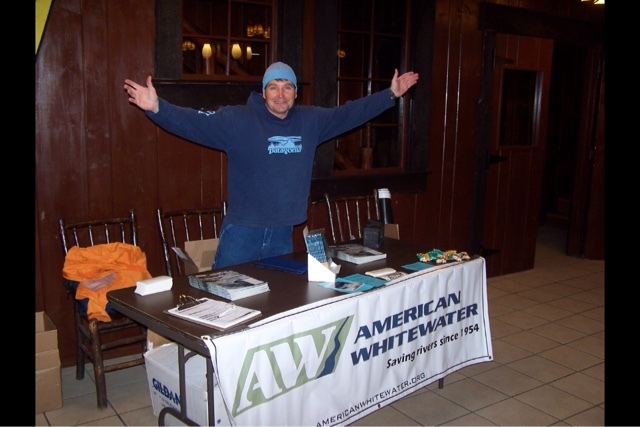 American Whitewater teamed up with Liquid Logic to make that donation happen. Mullets aren’t available to the general public quite yet so whoever gets their hands on this one will be one of the first kayakers to sport a Mullet.” Nice! 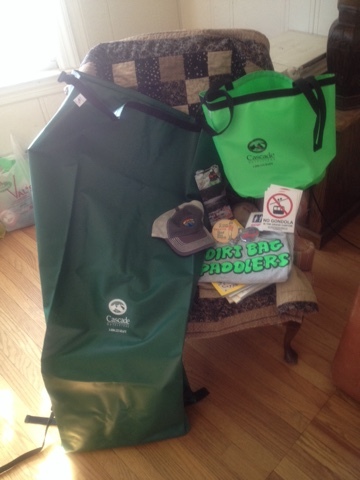 Dirt Bag Paddlers teamed up with Cascade Outfitters to donate this batch of goodies to the silent auction. 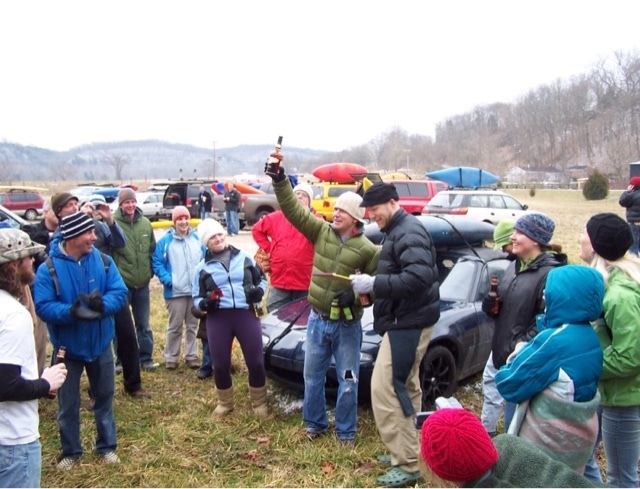 DBP: We are stoked for the race on Elkhorn Creek, which got snowed out in a major storm last year. This year the weather forecast is looking super. Multiple DBP Admins are out for victory! Can you give us any pointers? 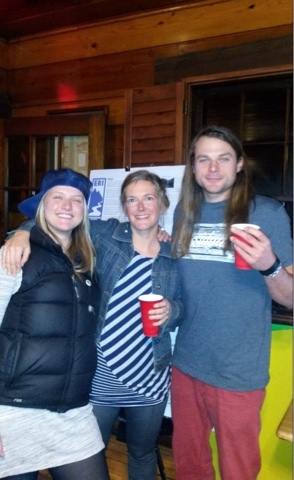 DBP: We love to paddle and party! Core question – beer or bourbon? DBP: Thanks for your time, Bethany! We look forward to catching up with you next weekend!